Just fill in the form and we'll be in touch to discuss your support and maintenance needs. 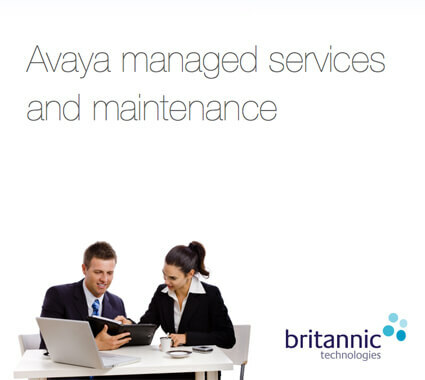 Take a step towards better Avaya service right here with a FREE Avaya Maintenance Review from Britannic. It's time to get in control of your communication systems without the chores. Access to premium Avaya technical expertise with 24/7/365 SLAs. Get the most out of your investment in Avaya and associated technologies through expert maintenance and management. Retain control of your IT resource and core business applications without the daily chores. Stay up to date with the latest Avaya developments and management best practice through complimentary technology seminars. How can our managed services and maintenance experience help you get the best from your Avaya system?